ROME, Maine (AP) — Army Staff Sgt. 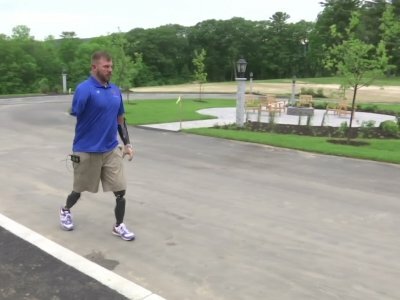 Travis Mills awoke in a hospital on his 25th birthday to learn that an explosion in Afghanistan had robbed him of all four limbs. He later told his wife to take their daughter and their belongings, and just go. He didn’t want her saddled with his burden. The retreat at the lakeside estate of the late cosmetics magnate Elizabeth Arden will be dedicated this weekend after an overhaul that included upgrades to make it more accessible.